Established in 1985 by husband and wife team Dennis and Martha Gleason, Gleason Fine Art has become a fixture on the local and statewide art scene. 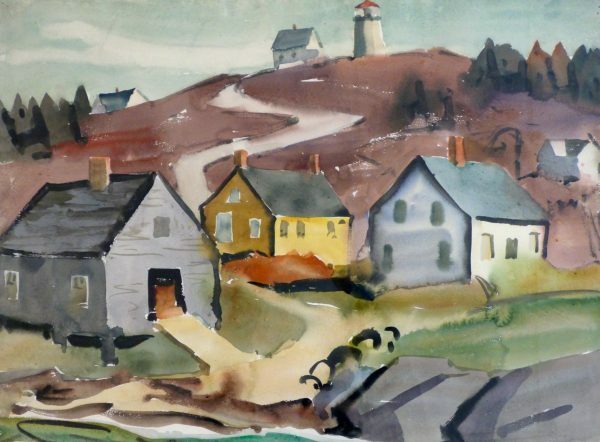 Originally opening in a tiny space on McKown Street, the gallery is currently located in a restored 19th-century farmhouse at 31 Townsend Avenue in the center of Boothbay Harbor. The gallery occupies the entire first floor. In addition to selling 19th through 20th-century art, Gleason Fine Art offers collection consulting, art appraisals, and restoration services.